Six colleges founded by Norwegian-American immigrants sponsor an annual summer Peace Scholars program in Norway, designed to deepen students’ understanding of the central issues and theories regarding conflict, war and peace. Through an application and interview process, students from Augsburg, Augustana (Sioux Falls), Concordia (Moorhead), Luther, Pacific Lutheran, and St. Olaf are selected as Peace Scholars and awarded a seven-week academic experience held in Lillehammer and Oslo, Norway. The Peace Scholars program is an outgrowth of the Nobel Peace Prize Forum, an annual event held in Minneapolis that inspires students and other citizens to become active participants in peacemaking efforts around the world. Begun in 1988 by Luther and four other colleges, the Nobel Peace Prize Forum is the Norwegian Nobel Institute’s only such program or academic affiliation outside of Norway. The 2016 program begins with five days at the Nansen Center for Peace and Dialogue in Lillehammer, where Peace Scholars will be participant-observers in structured dialogue sessions with students from the Balkans/Caucasus regions. The program continues at the University of Oslo's International Summer School (ISS) where students will participate in a Peace Scholars Seminar, a rigorous academic course that provides an introduction to the interdisciplinary field of peace and conflict studies and combines theoretical and empirical aspects. As part of the seminar, students will be expected to develop a research project in consultation with the course leader. Because Norway is known in the international community for its leadership role in advocating cooperation and the peaceful resolution of conflict, the Peace Scholars Seminar will include visits to several peace organizations and institutions in Norway, including the International Peace Research Institute, the Nobel Institute, and the Oslo Center for Peace and Human Rights. Scholars will also take an ISS course of his or her own choosing with other international students. Course offerings include Norwegian language, culture, or international politics. At the successful conclusion of the program, the Peace Scholars will receive academic credit for two courses. The Peace Scholars program is competitive, and those selected to participate will be awarded a scholarship (valued at nearly $6,000) that covers the Lillehammer and Oslo program and all ISS program fees, including academic credit, room, and board. Luther students will also be given $500 to assist with the cost of their round-trip airfare to Oslo. Personal expenses, books, and supplies are not covered. Attend the 2016 and 2017 Nobel Peace Prize Forum in Minneapolis. The purpose of the first is to be introduced and to attend a brief orientation session for the Peace Scholars program. The purpose of attending the second Forum is to network with the newly-appointed scholars. Open to full-time sophomore or junior students with a strong academic record. The 2017 application period has passed. Scholars are typically named by mid-February each year. 1,000 word essay (maximum) addressed to the Peace Scholars Selection Committee. The essay should articulate one’s interest in being a Peace Scholar, including how the experience would connect with one’s academic and vocational interests and goals. For more information about the Peace Scholars program, visit the official Peace Scholars website or contact Victoria Christman, Director of the Center for Ethics and Public Engagement. Josefina was born and raised in Dili, Timor-Leste, and is currently involved in various organizations on campus. 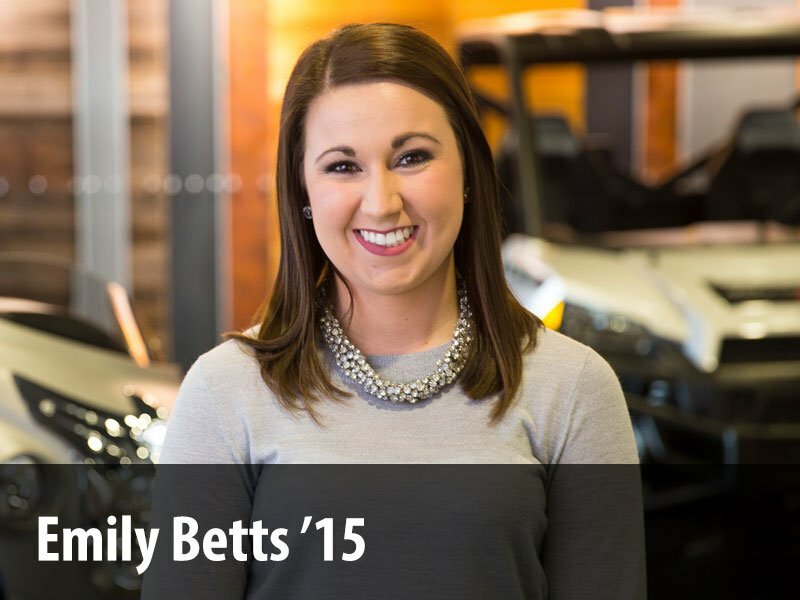 She is the Vice-President of Beta Theta Omega and is a member of the Sustainability Council. In the future, Josefine wants to be an advocate for environmental justice.She would like to work within the political system to influence changes through peaceful processes. 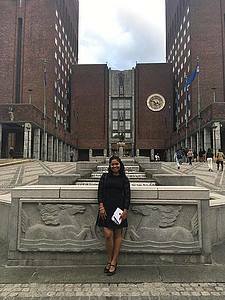 Josefina spent the first week in Lillehammer in the Nansen Center for Peace and Dialogue. She attended workshops with other participants from the Balkans, Norway, Ukraine, and Russia. In the following six weeks, they joined other students from more than 80 countries in International Summer School in University of Oslo. It was here where Josefina took a Scandinavian Government and Politics course and attended a Peace Scholar Seminar. The seminar, designed for Peace Scholars, focused on immigration. She visited various organizations, politicians, academics, and activists in the field. Each scholar conducted their own individual research. Josefina did hers on the relationship between economic growth and environmental protection in Norway. The most important lesson Josefina gained from this experience was learning to use dialogue as a tool to achieve peace. She says that most of the time, we form our assumptions about the other side without understanding them. She is majoring in environmental studies and economics, two fields considered in contrast with each other. Dialogue will help her to integrate them better by understanding arguments from experts in both fields. Billy Jeide is from Wayzata, Minnesota. He majored in Environmental Studies focusing on Economics and Sustainable Development. He also earned a minor in Spanish. Billy was very involved on campus. He ran on Luther's Cross Country and Track and Field teams and danced ballroom and swing. He also volunteered on the College's Hearing Board for Sexual Assault and Misconduct. Along with activities on campus, he worked in the Center for Ethics and Public Engagement as well. In his free time, he enjoys playing guitar, singing, and being outside. During the Peace Scholar program, William (Billy) took part in many new activities and opportunities. He spent his first week in Norway in Lillehammer at the Nansen Center for Peace and Dialogue. It was there that he discussed ideas about building peace with people from all over Europe. He worked with students from the Balkan Nations, Ukraine, Russia, and Norway. Billy spent most of the program at the International Summer School. Here he had the chance to study Scandinavian Government & Politics and Peace in Norway. He also met with Norwegian politicians of the Youth Party. It was there that he learned about Norway's peace building structures. He also took personal trips to Bø, where his relatives live, and the hiking excursion through the ISS. As an environmental studies major, Billy knew peace studies and conflict resolution would play a critical role in helping developing communities to be ecologically friendly. Billy did not expect to create such meaningful relationships with so many people. He was also able to expand his horizons by sharing and exploring with people from all around the world. But it is difficult for Billy to know exactly how these experiences will change his career and path in life. Nathan’s studies focus on chemistry, but he also enjoy courses ranging from constitutional law to world pottery. Aside from academics, Nathan is an active member of the Center for Sustainable Communities and the Center for Ethics and Public Engagement (CEPE). His interests beyond Luther lie in the relationship between science and policy. 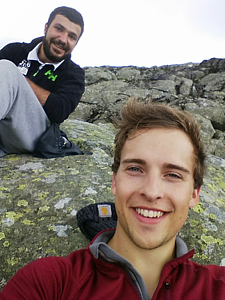 Nathan’s summer as a Peace Scholar gave him opportunities to appreciate the beauty of Norway and the wonderful people he shared the summer with. Lessons from this experience in Lillehammer carried over into his coursework at the International Summer School. He continues to learn from these experiences and the relationships he built each day. 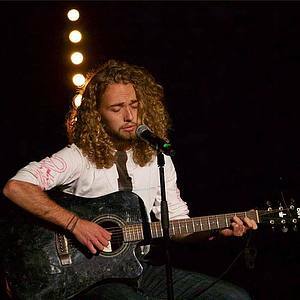 Nathan’s experience granted a more global perspective to his passions. Nathan expects to graduate as a chemistry major, but his motivations and intended career path has changed as a result of his Peace Scholarship.